John Loengard is an American photographer, joined the staff of Life magazine and then became its magazine's picture editor. Loengard's work is exhibited widely in collections of instituations like the National Portrait Gallery, International Center of Photography, and the Menil Foundation. "This is the early fifties, '51, '52, and, at that point, no books on photography were printed except books on sunny Spain, or my Martha's Vineyard, or something like that. In other words some travel books of corny, sweet, pretty photography. And there was still a last gasp of what was a strong salon photography school that would have contests for the best sailing picture or whatever. So the world was sort of filled with photographers who were interested in taking pictures of kitty cats or spinnakers, or that kind of thing. And so it struck me very much that Newhall's History was a kind of newer one. It was just serious, and there wasn't anything, no sunny Spain or balloon spinnaker or anything like that existed in it. It was very dry. I thought it was very significant to me, and very pretty. Very important." "The photographic community was a small group. Everybody knew Robert Frank's work because it would be published in the World, U.S. Camera or in a Life contest. He was one of the winners and people just responded his very lyric quality of candid photography that he used. I got appalled by its popularity in the American edition, which is two to three years after the French edition was published and now it's ridiculous what's said about it. 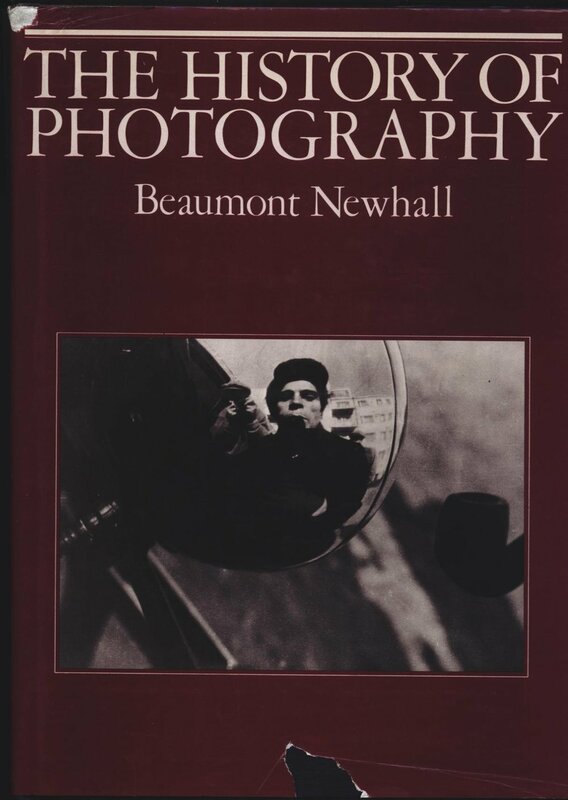 Nobody got photographic books published, for one thing. If every three years there was a book that you'd wanted to buy, The Decisive Moment, The Americans and in 1960 it might be something else. There was nothing to buy, and the fact that photographic books weren't reviewed at all, except in the photographic press. The photographic press was about six magazines, and one of them, Popular Photography - Bruce Downes, for some reason, the publisher and editor, wrote negative reviews about The Americans, because of the title, apparently. But then you got one editor wrote a good review, six wrote bad reviews. And that's about it, and Modern Photography wrote a perfect review, U.S. Camera did a special section on it. For any book to be published at all, that was that good, was wonderful, and it got the reviews it deserved, as far as I could tell." "I don't know exactly what I thought, except I liked it, to begin with. My friend had been in Shanghai at the same time because Cartier-Bresson was there and met him. I didn't see that much of him, but I think she gave me, knowing that I was interested in photography, a leaving gift. You know, the latest book. And since I have that feeling about Dorothy, it would be something I would feel I might like. So I think that sort of is part of my reaction to it but I don't remember ever not liking it, if I had to remember. Keep going. Quite enthralled with it. But exactly with what steps, I don't know. It's too long now." "Cartier-Bresson for instance, didn't write much, but whatever he did I thought was very intelligent and articulate. The introduction to The Decisive Moment is well-written and clear, it's not very poetic. I think one of Szarkowski's things was he wrote all these wall labels, pictures at the museum over the years, really well."